The River Liffey is situated in the heart of Dublin City. Perhaps people going about their daily business may not notice the ever changing flow of water below walls and bridges as they rush from a to b. To swim in the River Liffey, to submerge in it’s waters and view the city from this tranquil other space, cut off from terrestrial hustle and bustle is a special position to be immersed in and one that all swimmers deeply appreciate. 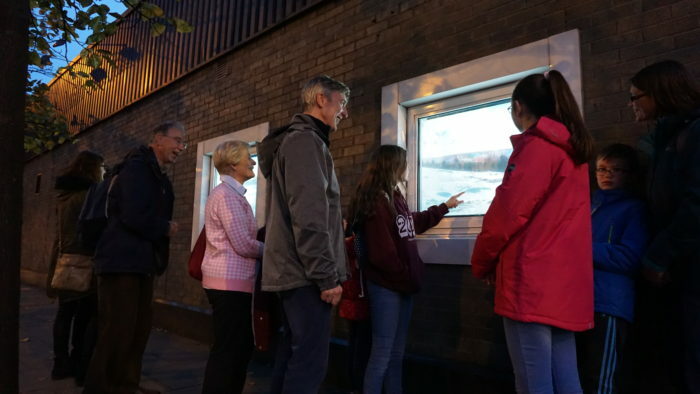 “in – with – along – through” is a four screen film of the River Liffey filmed while swimming. 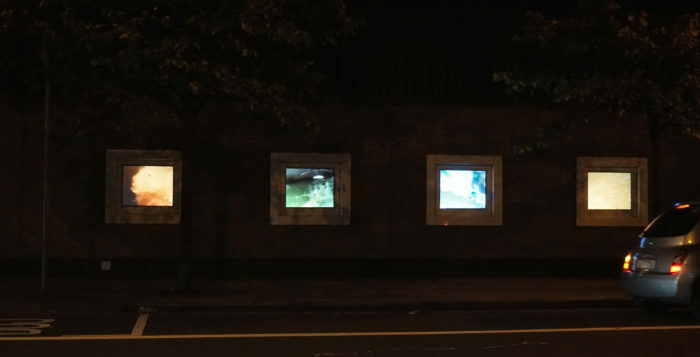 The film was commissioned by aemi http://aemi.ie/ for their “port | river | city” project 2017. http://www.portrivercity.ie/ The work will be back projected onto 4 windows that faced out into the street from the Dublin Docklands Building on Custom House Quays by the River Liffey. This will take place Thursday 21st September and Friday 22nd September from 5pm – 11pm. “port | river | city” was part of the Dublin Docklands Port Perspectives Award. The film footage is taken from the last 6 years of swimming in the River Liffey from Heuston Station down to the the Poolbeg Lighthouse. 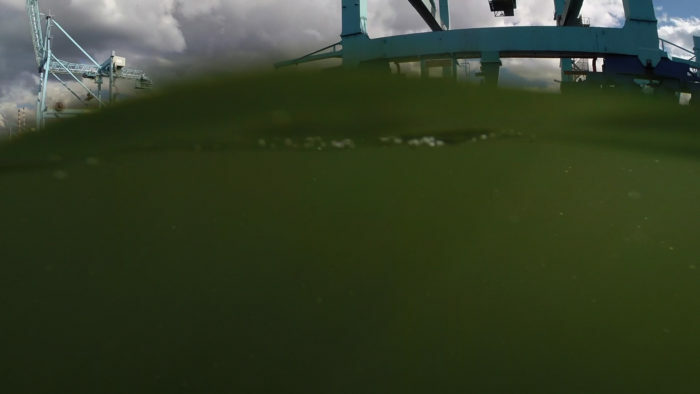 Some of these swims are official, some not so, some footage is taken from other art projects like the ‘South Wall Swim’ where we worked closely with Dublin Port to swim the waters through Dublin’s busy, working port. All the swims were done safely with swimmers who were suitably trained and with the correct safety cover.